I’ve had my eye on the ‘modern bohemian’ trend for a while now as it’s popularity has grown. Its eclectic nature and combinations of materials appeals to my personal aesthetic. My favourite thing about this style is that there aren’t any strict rules and that there are so many opportunities for self-expression. The word Bohemian means ‘a socially unconventional person, especially one who is involved in the arts’. The French definition also refers to the Romany gypsies, who are thought to have originated from India before arriving in Europe in the 13th Century. It is often said that this accounts for the Indian and Moroccan influences in Bohemian design. In the past bohemian style has been associated with being busy and sometimes a little overwhelming. Modern bohemian is the first stage of its evolution. It maintains the core bohemian values but is a little more refined and curated. It takes the clean lines and functionality of modern design and combines it with the textures of bohemian craft. Achieving a ‘modern bohemian’ look need not break the bank. Developing this style is less about spending money and more about the journey and discovery of each item or element - the chair found in the skip, the piece of art collected on holiday, the coffee table from the flea market. It’s about using what you have and up-cycling while also discovering new artists and designers to support. This is what makes designing modern bohemian schemes so exciting. When done right, it is difficult not to be drawn in by the stories and history. Plain, simple walls work well as a blank canvas to showcase a room’s contents. I find a white backdrop is usually best for calming the mind and keeping the space light and airy. Darker feature walls can be used to create depth and drama. It is important that all furniture is made from natural materials such as wood, leather, stone, metal etc. The furniture is used as a neutral background in order for the accessories to thrive. Some of my favorite furniture choices involve clean lines and geometry. I love contrasting this with smaller less structured, less refined items of furniture like floor poufs or beaten up leather chests. 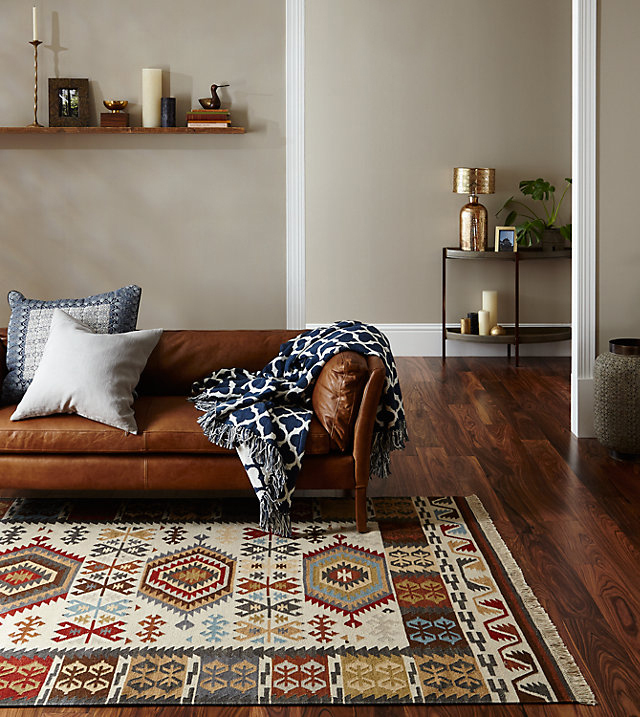 Rugs are a staple for any modern bohemian design, whether they are on the floor or being displayed as a wall hanging. They bring in some much needed colour and pattern. 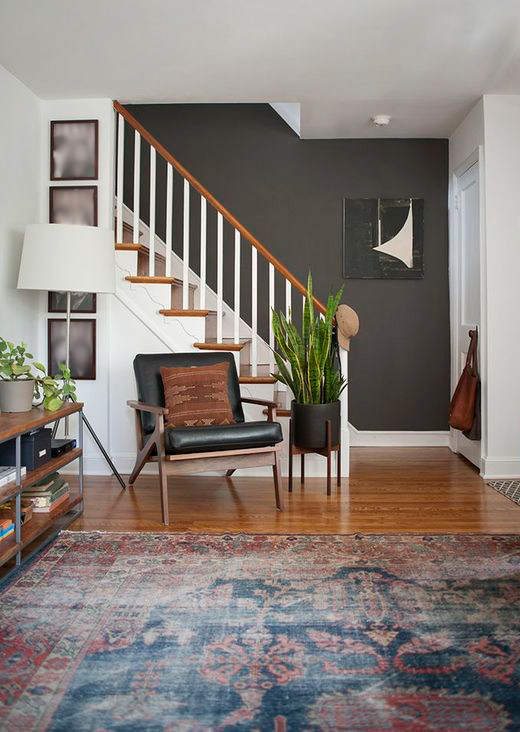 The two most typical rugs used in this style are vintage Persian rugs and Kelim rugs. The accessories side of modern bohemian is where it really gets fun. I definitely prefer the quality over quantity approach as it forces me to be really selective. It also helps prevent areas from getting over-cluttered. Primary accessories include cushions and throws. Again, these are great opportunities to introduce colour, pattern and texture. Kelim cushions work really well, especially when paired or contrasted with a rug. The next step is the inclusion of natural light. This can be done with candles, lanterns and mirrors. The final step is greenery. As stated in our previous blog post ‘Going Green’, I’m currently a huge fan of air plants. Creeping indoor plants are also great to add that relaxed feel. It’s important to remember that bohemianism is very much about a collaboration between art and nature. Without art this style would not exist. Therefore careful selection of artwork is paramount, whether it's one focal piece or an arrangement of multiple pieces. This is where each individual can really express themselves and add their own personal touch. DESIGNER: Kait Joseph, Kait is a Californian interior designer who specializes in modern bohemian design. Her work is very inspirational! Due to its inclusion of vintage items and natural materials, the modern bohemian style is timeless. In fact, it is very much a style that can develop and improve over time. It is smart, but relaxed. Simple, yet very interesting. This makes it perfect for any kind of home. 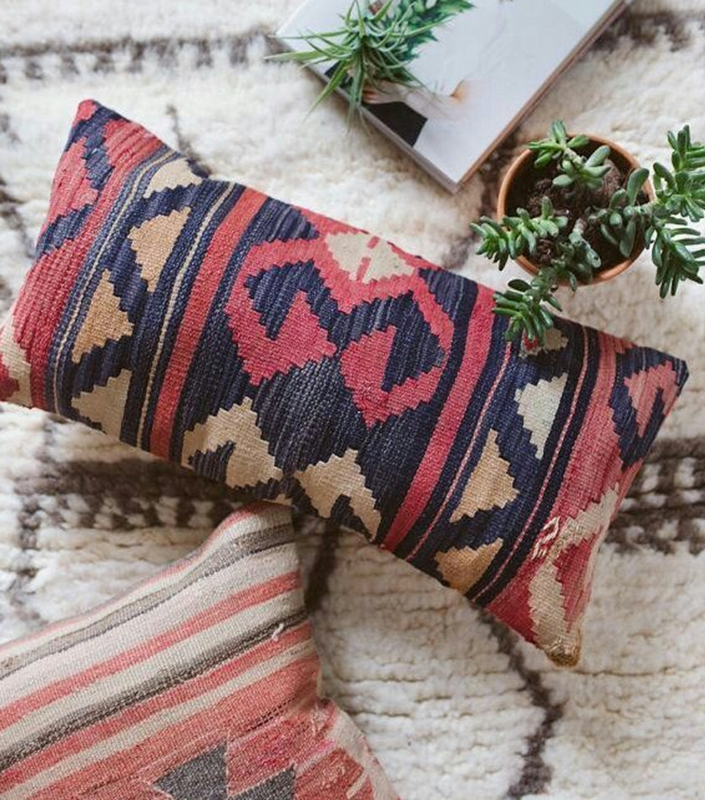 Check out our Pinterest board for this post for more Modern Bohemian inspiration!